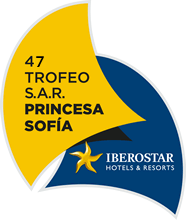 The 47 Trofeo SAR Princesa Sofia will be held from the 26th of March to the 2nd of April. The Eurosaf Champions Sailing Cup is based on four top European events for Olympic and Paralympic Classes. The aim of the EUROSAF Champions Sailing Cup is to provide the best possible competition for Olympic and Paralympic Classes. The series is based on established regattas within Europe, in order to guarantee the highest level of event and race management.